Truckies Club Members can this year again benefit from the fabulous deal our long time partners, AJ’s Total Truck gear have on offer to them. 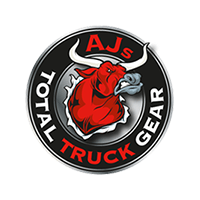 Established in 1994, AJ’s Total Truck Gear is a leader in servicing the transport industry by offering the TOTAL concept, from metal polishing & repairs to tanks, Bullbars & Bumpers, to designing and manufacturing high quality prestige FUPS rated alloy Bullbars & Bumpers for Prime Movers. 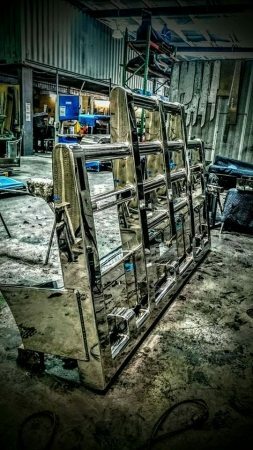 With many years experience in design, manufacture & metal polishing under their belt they still strive to continually improve their excellent finish by sourcing new methods and updating our systems. They are always open for suggestions and new design ideas to keep ahead of the competition, whilst satisfying their customers’ needs. The new, Patent Pending, Wedge Lock Bullbar is a shining example of their initiative and progress in moving forward and looking for ways to satisfy customers needs. Their services encompass Fuel Tank Repairs, polishing, Bull bar Modification and conversions where possible. With a skilled team of welders who not only excel at manufacturing new Bullbars and Bumpers, they also specialise in Minor and Major repairs, from mossing posts and bent channels, to scratches and scuffs. Plus you can count on AJ’s for your all accessories necessary for your Bullbars and Bumpers. So if you require competitive but exceptional gear, contact AJ’s today to discuss the products and services that will assist you to achieve the results your require!